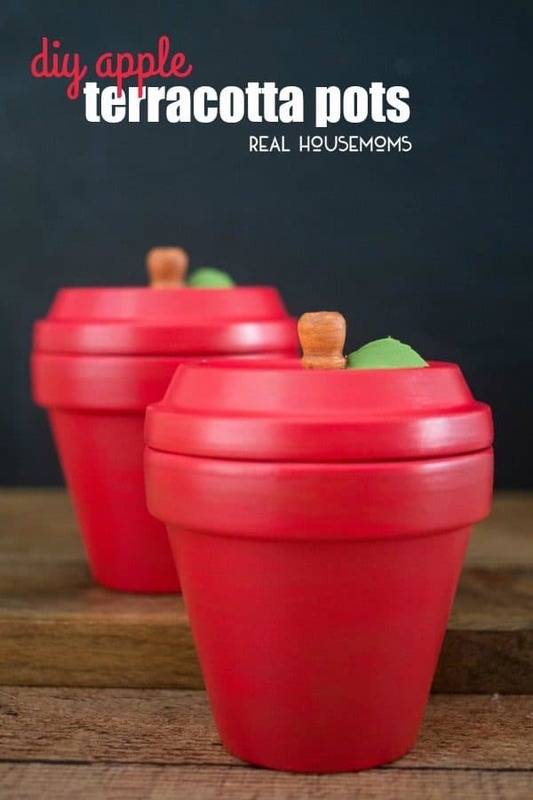 Perfect for teacher gifts and more, create these adorable DIY Apple Terracotta Pots in just a few easy steps! Aren’t they just the cutest? And they meet my craft criteria – fun, functional and can be done in an afternoon. Because who really has time for super involved crafts? We like to keep it cute and simple around here. 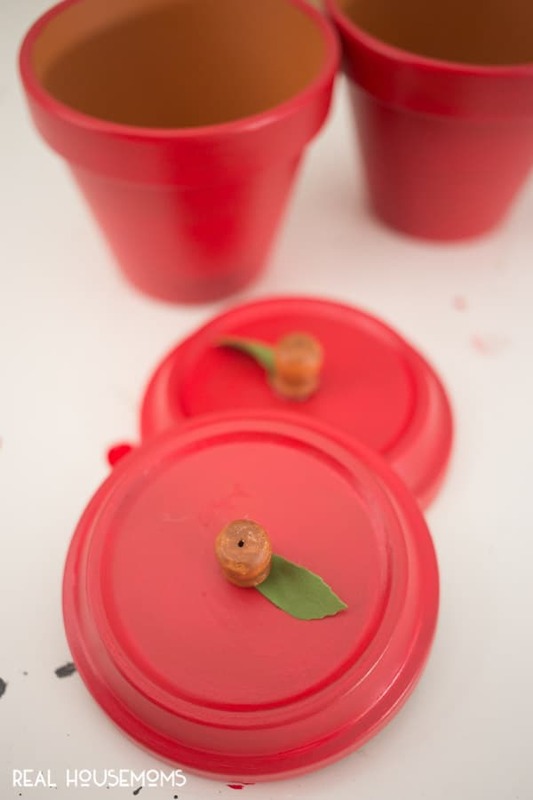 So let’s get into how you TOO can make these cute little pots! 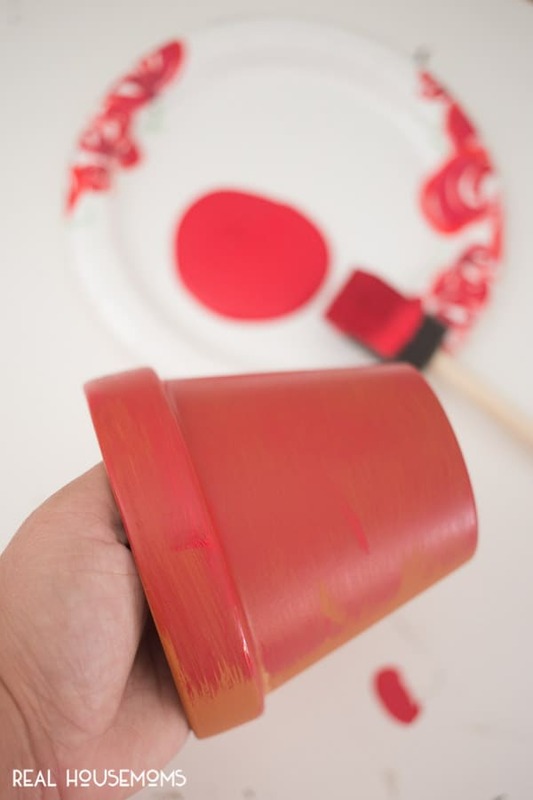 Paint your terracotta pots and lids with your red acrylic paint. You might have to paint a few layers (allowing them to dry in between) to get the coverage you’re looking for. 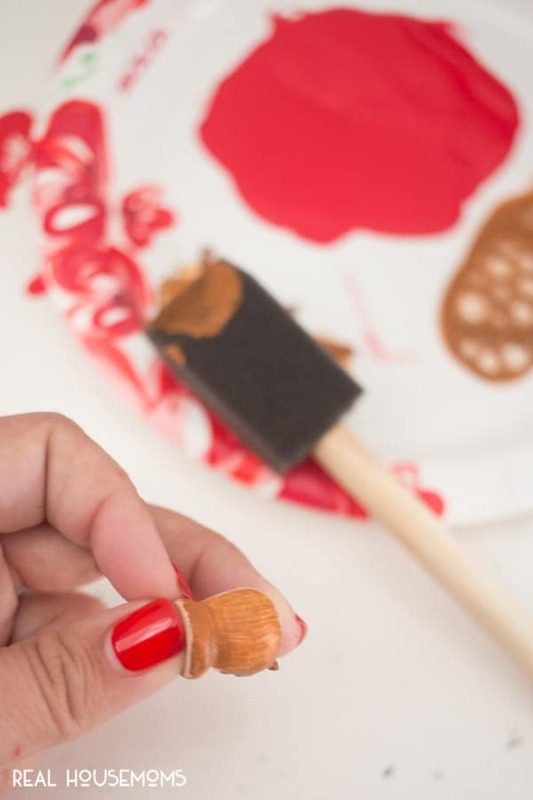 While your pots are drying, paint your small wooden knobs with brown acrylic paint and let dry. 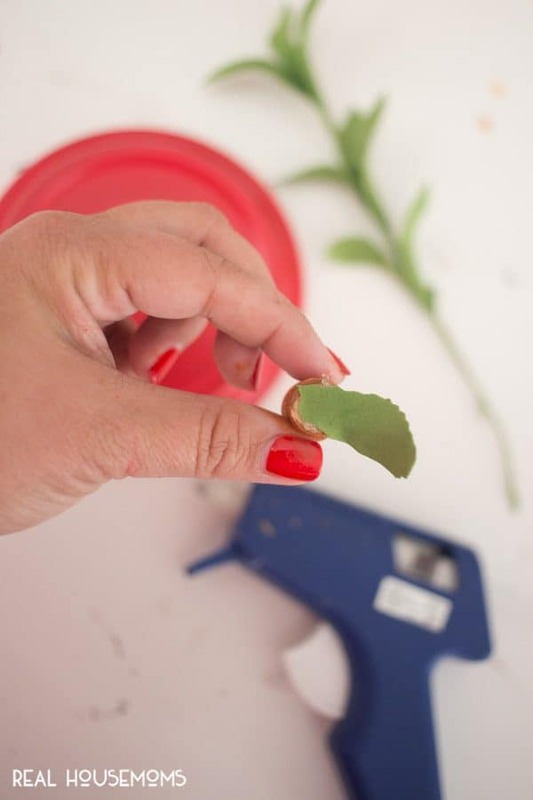 Once lids, pots, and knobs are dry, you’ll want to glue a faux leaf to the bottom of the wooden knob. Then you’re going to glue the wooden knob in the middle of the “bottom” of the lid. 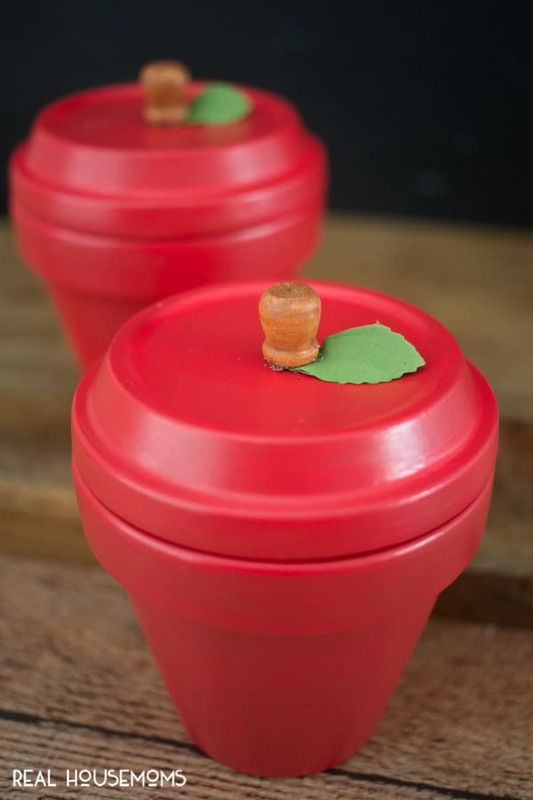 For this craft, we’ll be inverting the terracotta lids to act as actual jar lids. Once the glue is dry, add your lid to the pot and there you have it, a DIY Apple Terracotta Pot! 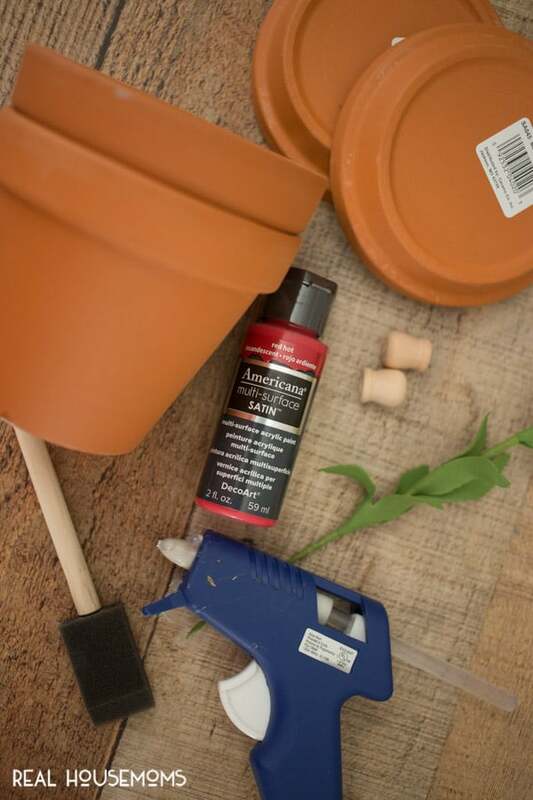 It may sound like a lot, but trust me, once you get into the groove you’ll whip these DIY Apple Terracotta Pots out in no time! They’re perfectly adorable for your favorite teachers! 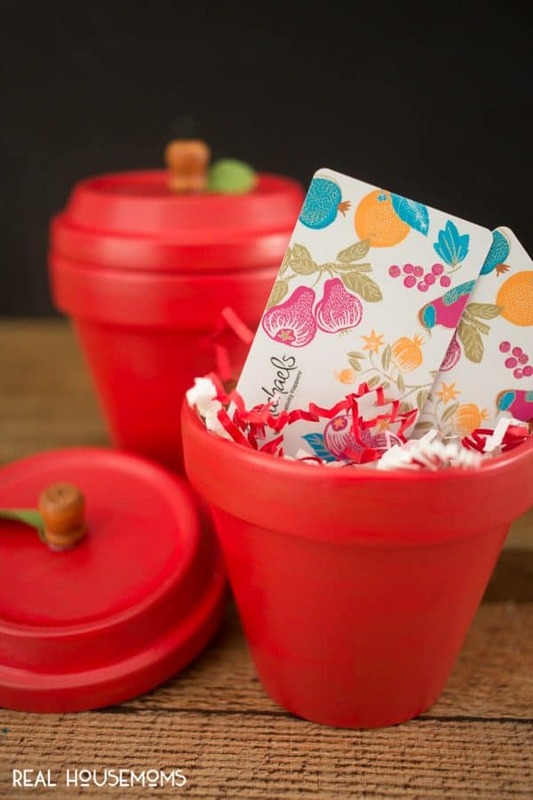 Fill them with gift cards, sweet treats – even notes from your kiddos! I’m sure teachers would love to receive one of these this year – what do you think? I’d love to know if you give them a try! If you liked this easy DIY teacher gifts: EOS Lipgloss teacher gift, Pencil Mason Jar, and Painter Ruler Basket. You can also head over to A Night Owl for more DIY and crafts. be sure to check out some of our favorites like our farmhouse Flower Market Bucket or our Thank You Herb Gifts! Say hi if you drop by!